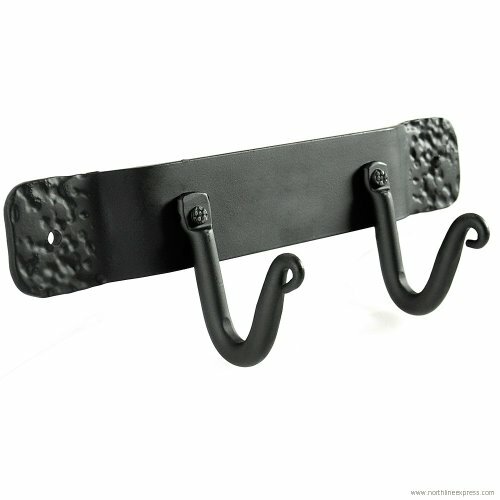 Pilgrim's blacksmith-style Forged Iron Double Hook Bracket is a great item to have hanging around! Use it around the hearth for additional fireplace tools such as fireplace pokers, rakes, tongs, gloves, bellows and more. Use in the mud room for outdoor wear or around the house for plants and hanging knick-knacks. It's the perfect multi-purpose hook that's guaranteed to last. Our Forged Iron Double Hook Bracket measures 9 1/2" wide. If you have any questions about this product by Woodeze, contact us by completing and submitting the form below. If you are looking for a specif part number, please include it with your message.